If you are looking for a stylish car that will help set you apart from the rest of the crowd, without having to spend a fortune to do it, we have the perfect VW for you. According to the analysts and writers at Kelley Blue Book, the 2018 Volkswagen Golf made their Top 10 List of Coolest Cars under $20,000! They loved the enjoyment they got when they test drove the Golf for their testing, as well as highlighting the Golf’s direct lineage from the original hot-hatch concept! The testers also enjoyed the turbocharged engine of the VW Golf, giving extra power which felt even better given the Golf’s impressive handling! Finally, the incredibly accessible price point of the 2018 VW Golf was also a major plus with the KBB testers, since you are getting all this enjoyment at a reasonable price! Sound like the 2018 Volkswagen Golf might be the perfect hatchback for you? 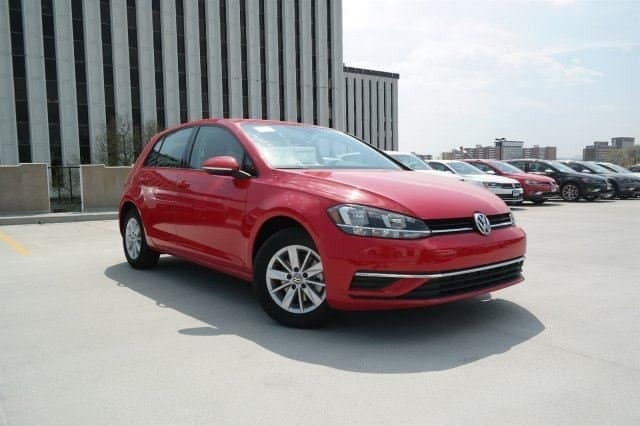 Then visit Emich Volkswagen and take a test drive of this cool and affordable hatchback today! Not only will you be purchasing a fantastic vehicle for a great price, but you’ll also be helped through the buying experience by our knowledgeable and friendly sales professionals! Get your Volkswagen Golf today and ride around in style knowing you’re driving one of the coolest cars of 2018!